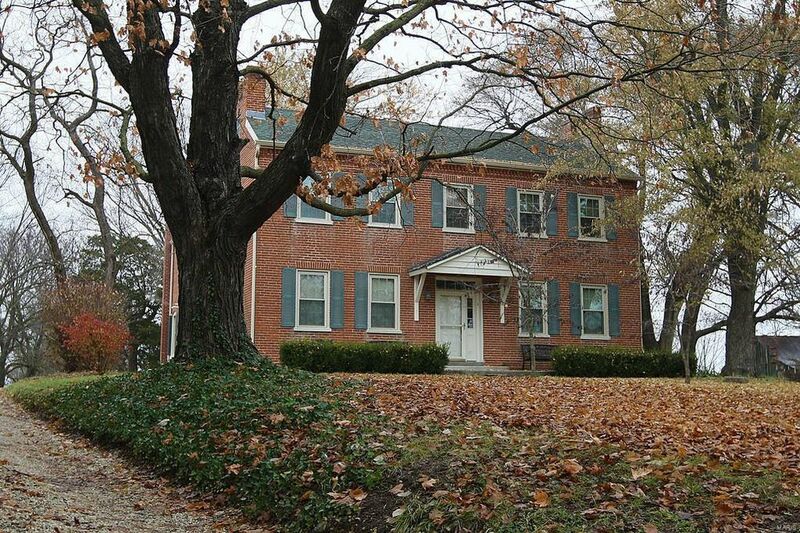 One of Washington's remaining stately brick Federal Style homes built in 1860, sitting majestically on a knoll with state road frontage, w/5+ acres. At this Family Friendly Farm you can gather fresh eggs every morning, just before hanging the wash out to dry in the country breeze. Current owners completely gutted it down to the brick walls, replaced floor joists, installed dual HVAC, 400 amp electric, insulation, central vac, new windows, new roof, and new gutters, putting a lot of work into it, and a whole lot of heart! The enormous eat in kitchen features a large center island, double ovens, propane cook top, and enough space for all the cooks in the house! The 2 fireplaces were rebuilt with an electric insert in one, and gas line ran to the other. You won't find a better wood shop finished in the hay loft of the old barn, with a modern day over sized garage seamlessly attached to its side. Today's buyers may wish to install the old wood flooring back, completing these owners dream! Directions: From Washington Hwy 100 west to left on Highway KK for 3 miles to home on right.